Removing content filtering clears all existing protective filters, including blocked and trusted websites. 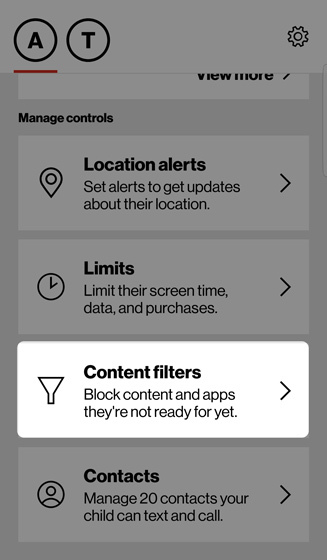 The child's device still remains paired with your parent device and all other features (e.g., location alerts, pause internet) aren't affected. To perform the steps below, content filters must be configurar so that the dashboard appears. En la sección Administrar controles, toca Filtros de contenido. 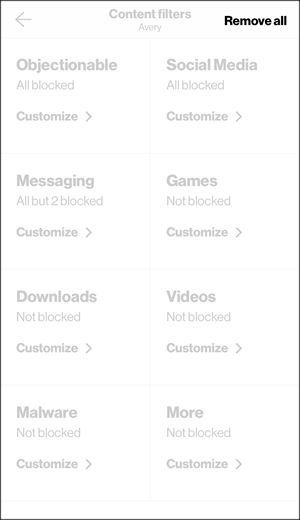 From the Content Filters dashboard, tap Remove all (upper-right). 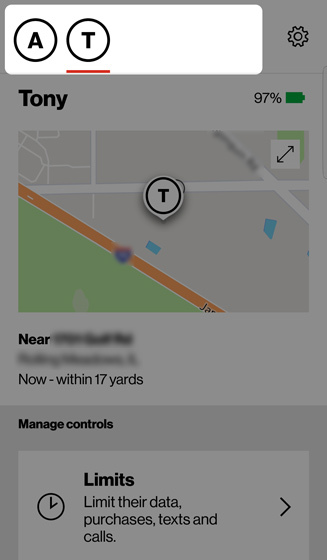 Review the info then tap Remove all content filters (at the bottom). To set up new filters, refer to Editar filtro de contenido.